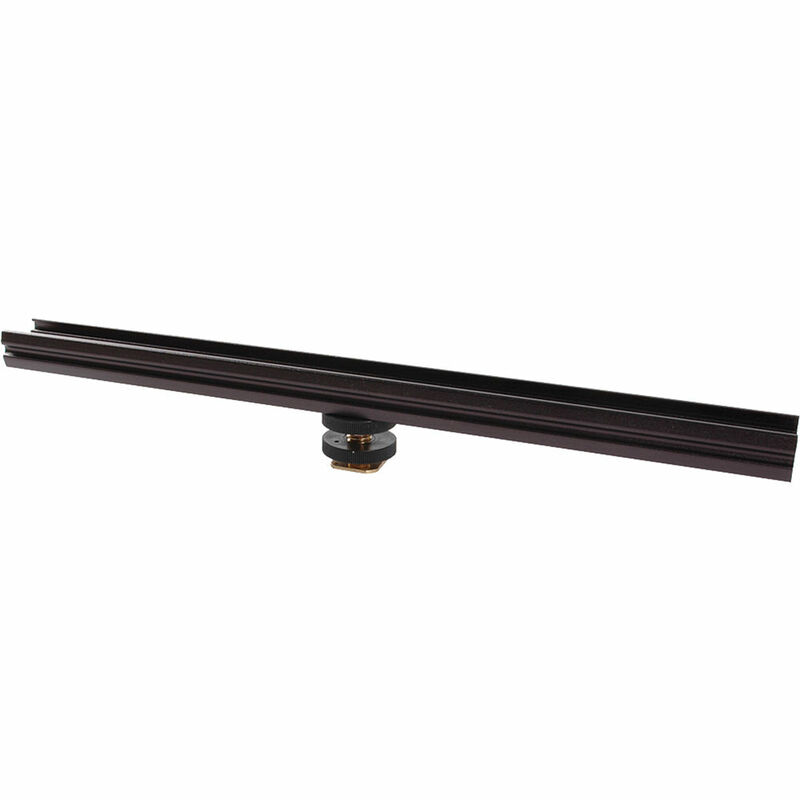 The Dot Line Accessory Shoe Rail is constructed from black anodized aluminum and enables the mounting of multiple accessories with standard accessory feet. This rail can attach to a single accessory shoe via the movable double-locking accessory foot and can also rotate for more precise positioning. This rail measures 12" / 30.5cm long. Box Dimensions (LxWxH) 11.8 x 1.7 x 1.2"
Does the base also include a 1/4-20 female thread for tripod mounting? No u nfortunately, there is not female threading to mount on a tripod or stand. Yes, the cold shoe on the bottom can also adjusted fore and aft.